HypenSquare - MLM Software Jaipur designs and develops all kinds of MLM Plan Software in Jaipur, Rajasthan. We provide Generation MLM Plan for those MLM companies who willing to start their new MLM business by launching various kinds of products. We also provide MLM e-commerce website in Jaipur, Rajasthan or MLM e-commerce portal for such companies which want to facilitate their affiliates to purchase their products online. We also offers Binary MLM Software for those MLM companies which want to launch with various incomes and rewards on sales of MLM products or services. All other kinds of MLM plan Software; we also provide MLM Software like Matrix Plan, Board Plan, Stair-Step Plan etc. Are you looking for best MLM Software Development Company in Jaipur, Rajasthan? Your search ends here! 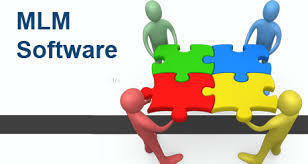 Best MLM Software Company offers the best MLM Software with excellent support and after sales services. So, don't think more, just fill our inquiry form and submit your queries and requirements to us. We will analyze your MLM Software requirements and needs and develop the same MLM Software as you needed in Jaipur, Rajasthan. Incorporated in the year 2017 at Jaipur (Rajasthan, India) we “Hypensquare” are a Sole Proprietorship firm, engaged in trading premium quality range of NIDHI,NBFC,MLM,CREDIT COOPERATIVE ,LOAN MANAGEMENT,MINI BANKING Softwares . With the support of our vendors, we are able to provide these products in diverse specifications within stipulated time period. These products are widely demanded by for their sturdy design and low maintenance. Under the guidance of “Mr. Anil Kumar Tailor” (Owner), we have been able to meet varied requirements of patrons in a prompt manner.